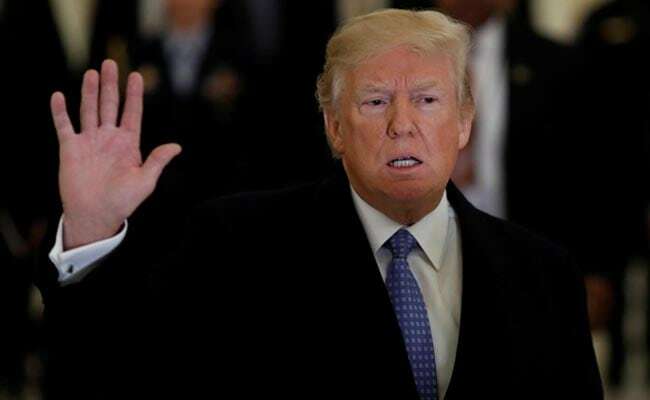 Trump on Thursday vented out frustration at Kelly that he told lawmakers and a news channel that his campaign promise to build a wall along the Mexican border was "not fully informed"
Washington, United States: US President Donald Trump is "frustrated" with the media coverage of an interview given by his Chief of Staff John Kelly on issues like border wall, the White House has said. Trump on Thursday vented out frustration at Kelly that he told lawmakers and a news channel that his campaign promise to build a wall along the Mexican border was "not fully informed" and his view on immigration was "evolving", The Wall Street Journal reported. The White House denied such an impression and said that Trump has full confidence in Kelly. "The president is frustrated with the media coverage over the last 24 hours of that interview and of the meeting. The President's position on border security has been very clear since day one, since the summer of 2015 when he jumped into this race," White House Deputy Press Secretary Raj Shah said abroad Air Force One. Shah, said Trump wants to see increased personnel, technology, and infrastructure, including the wall. He always said throughout the campaign that he would be listening to the folks on the front lines. "That's what the Chief of Staff was talking about in his interview on Fox News. And that's what, actually, the president talked about in an interview with you guys at the (Wall Street) Journal pretty extensively. He talked about listening to the Border Patrol agents. They've influenced his views," he said in response to a question. "His only frustration is with the media, and that's what that tweet was about. But what Kelly is talking about is him listening to experts and folks on the front lines, which is something he said he would do throughout the campaign," Shah said. However, The Wall Street Journal reported that in a late evening phone call with Kelly, Trump said he was upset when he learned that he had told some lawmakers that his campaign promise to build a wall along the Mexican border was "not fully informed" and his view on immigration was evolving. "He has complete confidence in Gen Kelly," White House Press Secretary Sarah Sanders said, according to Wall Street Journal, when asked about the phone call. Trump told reporters in Pennsylvania that his views on wall has been consistent over the past three years and defended Kelly. "I think he's doing a great job. I think General Kelly has done a really great job. He is a very special guy," he said when asked about Kelly's remarks a day earlier. According to Trump Kelly did not tell lawmakers that he was uninformed about immigration. "No, he didn't say that. I don't think -- he didn't say it the way you would like him to say it. No, he didn't say that. He's doing a terrific job," said the US president.